Light floods through the bay window in the morning. 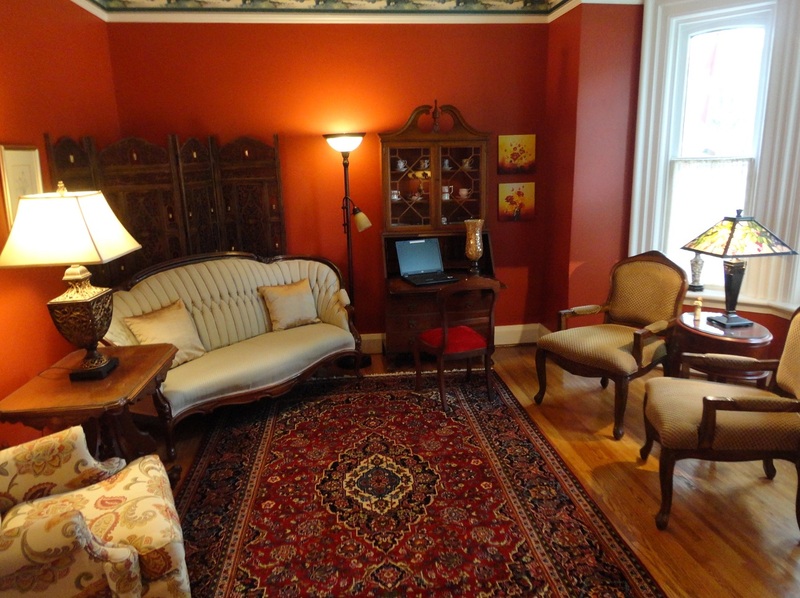 Antique furniture, prints and artifacts make this room a wonderful place for breakfast. Enjoy fresh fruit in season, coffee and teas, cereals, baked goods and hot entree. A comfortable room to sit and relax in. 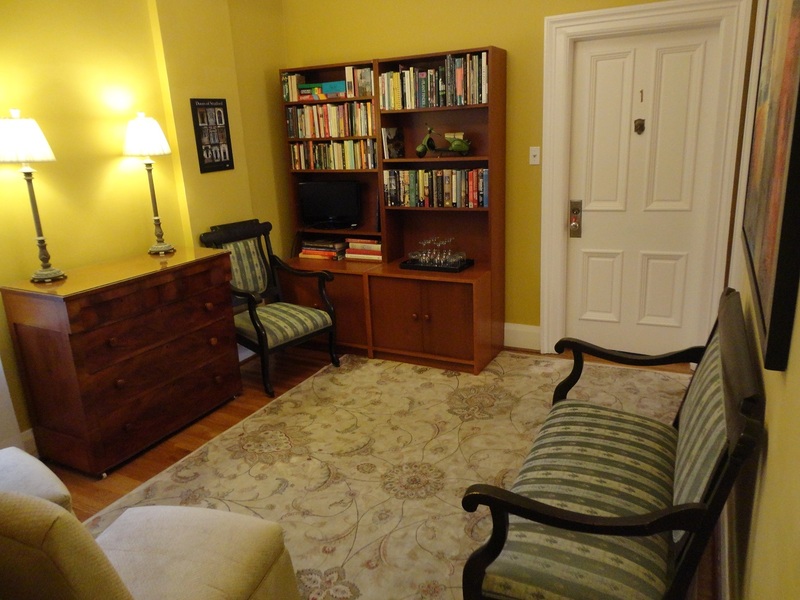 Guests are welcome to browse through the book shelves or watch the television. Brochures and information about places to see and things to do in Stratford and area are available. A servery with a small refrigerator is close at hand. Tea and coffee, bottled water and soft drinks are available. A balcony leads down to the garden and patio. The parlour is lit by a wonderful bay window. 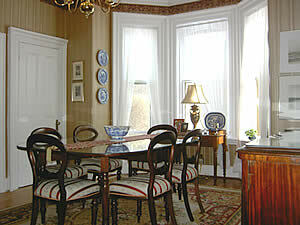 It is a comfortable room furnished with antiques and art. A peaceful and relaxing room. We offer an elevated private balcony accessible from the upstairs seating area. 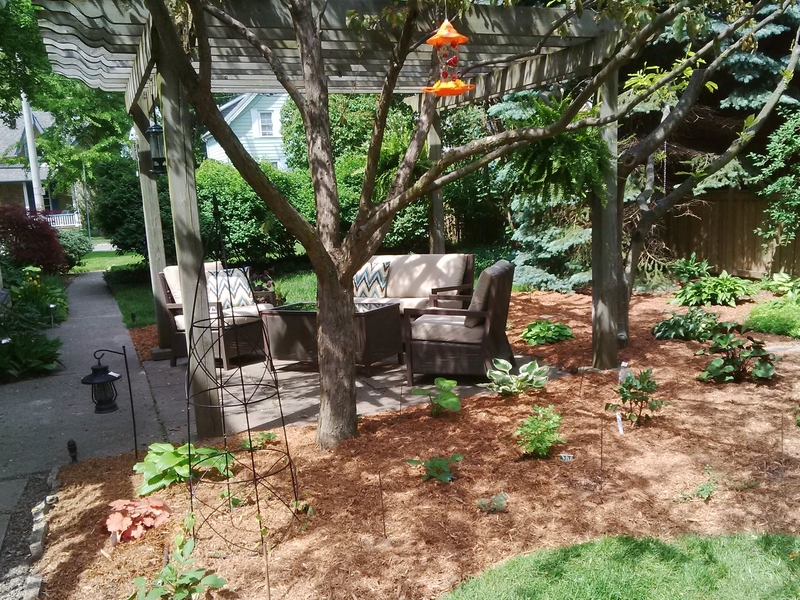 In our back yard a gazebo, patio and garden beckon, for your relaxation and enjoyment.